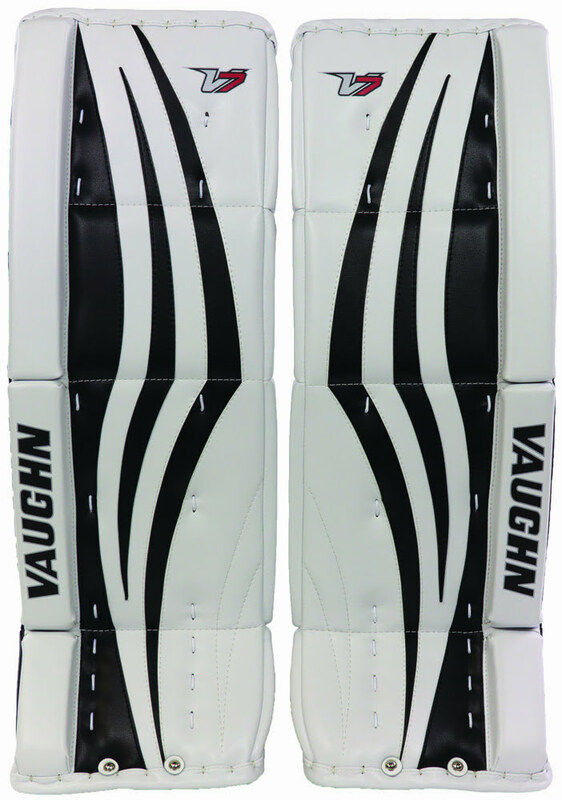 Vaughn Velocity V7 XR Junior Leg Pads | Sports Etc. The V7 XR junior goal pad is designed for a smaller, youth goaltender. A flexible pad, which is extremely easy to break-in, but is built stronger than your average junior leg pad. Sports Etc Performance To Value Rating– 9 out of 10. Perfect leg pad for a young goalie just starting out. Extremely light and flexible to allow for easy movement and break-in.